Enjoy the simple things in life with the Jimmy Choo Man Ice Eau de Toilette, a fragrance for men with woody aromatic facets. The Jimmy Choo Man Ice Eau de Toilette charms with a quiet confidence. Made for a man that is always calm and collected, the fresh aroma is a reflection of his laidback attitude. A fragrance that will not easily be forgotten, the Man Ice scent will create a lasting impression, without him having to say anything. The freshness of Man Ice is revealed in the top as refreshing nods of mandarin and bergamot mingle with citrusy cedrat essence. In the heart, sensuality develops as vetiver and patchouli essence meet with a crisp apple note and an elegant base of ambroxan, musk and moss. 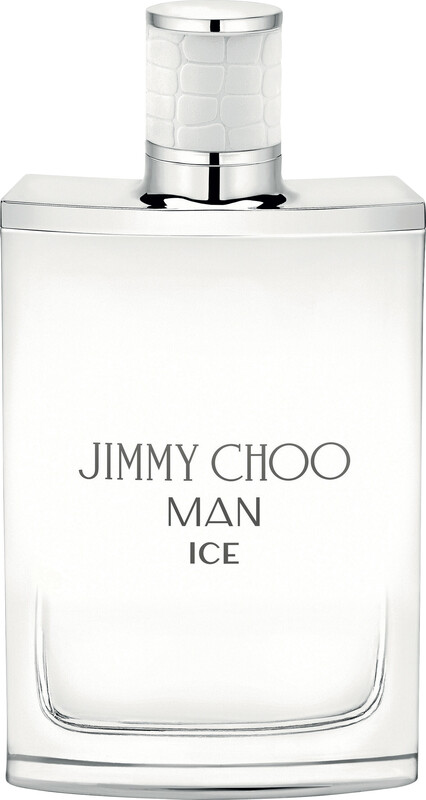 Jimmy Choo Man Ice Eau de Toilette Spray is rated 5.0 out of 5 by 1. Rated 5 out of 5 by Jaye18 from I bought this for my Fiancee and I just love it, as does he! The smell is really fresh, not to sickly sweet and it lasts all day! !